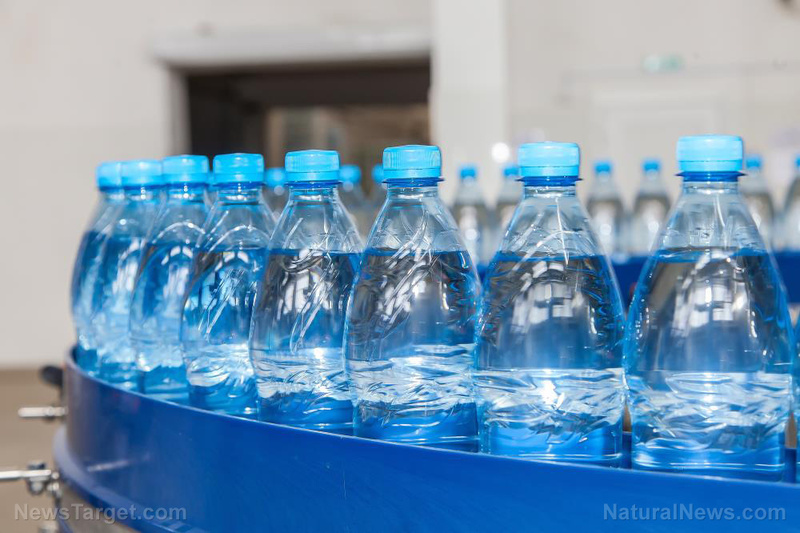 (Natural News) Bisphenol A (BPA), a synthetic chemical widely used in manufacturing plastic products, has long been associated with a host of adverse health conditions. BPA is classified as an endocrine disruptor and is tied to various diseases including diabetes, cardiovascular disease and abnormal liver function. Experts have looked into using chemical substitutes such as Fluorene-9-bisphenol (BHPF) in hopes of minimizing BPA exposure, but such a move proves to be futile according to new research. A recent study published in Nature Communications suggests that BHPF may pose a threat to the public health much in the same way as BPA. Researchers from China and Japan examined yeast cells exposed to BHPF and found that the synthetic chemical prevented the cells from binding with others in normal ways. Research data also showed that BHPF is proven to block the effects of estrogen, rather than mimicking its mechanisms like BPA or Bisphenol S – another synthetic substitute. An analysis of pregnant mice also showed that BHPF exposure led to various adverse effects including uterine problems, smaller litters and miscarriages. The chemical was also tied to decreased expressions of estrogen-responsive genes in pregnant mice. “This study raises questions about the safety of BPA substitutes and the current toxicological management of substitutes for hazardous chemicals,” the researchers added. The experts also examined samples of bottled water to check for BHPF release when in contact with high temperatures. The analysis revealed that 23 of 52 samples released BHPF when filled with hot water, three of these being baby bottles. The researchers also analyzed blood samples from 100 college students who reported drinking from water bottles. Research data revealed that traces of BHPF were seen in the bloodstream of seven respondents. Experts noted that while there is no solid evidence linking BHPF exposure to adverse health effects, the toxicity of chemicals used in manufacturing food containers should be assessed prior to production. Outside expert, Prof. Richard Sharpe, Group Leader of the Male Reproductive Health Research Team at the University of Edinburgh, expressed his insights regarding the study’s results. As far as regulatory bodies such as EFSA and FDA are concerned there is no convincing evidence for replacing use of bisphenol A by substitute chemicals, though environmental pressure groups continue to press for a ban on use of bisphenol A and its replacement. This study highlights that such replacement may be jumping ‘out of the frying pan and into the fire’, by showing that one of the suggested replacement chemicals may itself have potential to cause adverse endocrine effects, although it is unclear from the studies if humans would be exposed sufficiently for this to cause harm. A huge amount is known about bisphenol A in terms of its activity, human exposure, metabolism etc, and it is this level of understanding that has enabled regulatory bodies to determine the risks that our exposure poses to our health. In contrast, we have very little understanding about the suggested replacement chemicals. Therefore this study, which appears generally well-designed and executed, reminds us that replacing use of one chemical by another needs to be an evidence-led process, otherwise we may do more harm than good. Be on the lookout for the latest developments and updates on health care. Visit Toxins.news for more information about BHPF exposure.